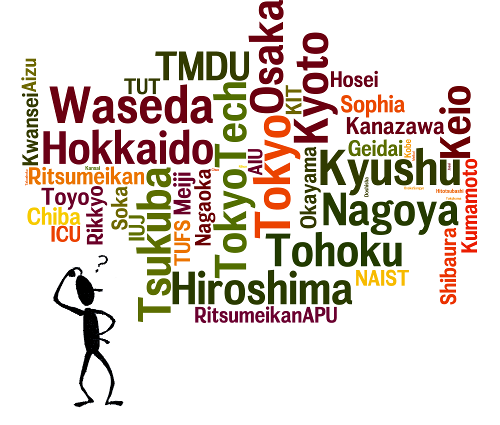 With over 800 universities in Japan, which should you choose for your MEXT scholarship application? Start narrowing down the list by following the guide below. Choosing a university to apply for the University-Recommended MEXT Scholarship is a much more critical step than it is in the Embassy-Recommended MEXT Scholarship, because you only get to choose one. As we covered in the MEXT scholarship eligibility criteria article, applying to more than one university will result in instant disqualification. So, how do you select your university? Relevance to your research program is most important, yes. But the first step in any search should be to eliminate the irrelevant results. According to the Japan Study Support for Foreign Students (JPSS), there are 587 graduate level programs in Japan that recruit international students. That’s a lot of options, but using the three qualifications above, we can narrow that down before beginning a more in-depth search. If the program isn’t available in English then there’s no point in considering it. According to JPSS, of the 587 graduate schools open to international students, 65 offer Master’s or PhD level programs in English. The search results on that page will show you which specific graduate schools at each university offer English programs. Note: Japan has an additional category of graduate programs called “Professional Degree Programs.” These are non-academic programs, such as MBAs, Teacher Training, and (JD) Law degrees. If that’s your interest, you’re going to need to change the search criteria on the page above. The JPSS site above, while convenient for getting total numbers, is not necessarily 100% accurate, since they have no way to enforce university participation. The following two sites, however, are official, government-affiliated resources, so be sure to review these, as well. Global 30: These 13 universities set up English-language graduate degree programs with MEXT sponsorship, so they are solid bets, but they’re not the only English-language programs. They’re also going to be among the best known and therefore most competitive. JASSO’s list of universities with English-language programs: Current as of March 2014, this document lists non-Global 30 programs available in English. These are universities that established English-language programs on their own, not just to get a government grant, so you may find more openness to international students here. There is no guarantee that these lists are complete! More Japanese universities are offering English-taught programs each year, so be sure to search around on your own, as well. Google your research topic, “Japan” and “univesity” and see what comes up. Or browse publications in your field and look for Japanese authors, then Google them to find out where they teach. If your most recent university (the university you are enrolled in or earned a degree from most recently) has a relationship with Japanese universities, then applying to those universities is going to make your application easier. Specifically, a relationship between your universities is going to make the “Letter of Recommendation” requirement easier, though not for the reasons that may appear obvious. I’ll explain below. A “relationship” between the universities can mean any “Memorandum of Understanding” between the universities (or individual faculties), or any actual incidence of working together, such as joint research programs, exchange programs, faculty guest lectures, etc. Of course, a relationship that involves faculty members in your research field is going to be most beneficial, for networking reasons. You can usually find this information easily online. Universities love to advertise their international partnerships. Go to your own university’s homepage and search the site for “partners.” Alternatively, if you have a Japanese university in mind, you can search their site, as well. I’ll cover networking in a subsequent article, but having a personal connection between faculty members at your most recent university and the university you plan to apply to is going to give you a leg up in the selection process. Personal relationships mean everything in Japan and, from what I’ve heard from academics around the world, they’re critically important everywhere else, too. If you find that your university has a relationship with one or more Japanese universities, ask around to find out which faculty member or office is the point of contact on your side. Find out if there’s any ongoing research or projects, and get involved. Again, more on this in the networking article. These still work in your favor! Even if there is no actual exchange between the universities – no networking potential – the existence of a relationship still makes your application easier when it comes to the Letter of Recommendation. As part of your MEXT Scholarship application, you will need a Letter of Recommendation from an official at your home university. If your universities have a partnership or have experience working together, then this Letter of Recommendation needs to come from a Dean of the Faculty or higher level official. If there is no relationship between your universities at all, then you will need a Letter of Recommendation from no less than the President of your university. Don’t worry. In both cases, this is not quite as daunting as it sounds. I will explain the best way to acquire this letter in another article. But for now, understand that a university-level relationship makes your application easier. I have my heart set on University X, but there’s no relationship . . .
That’s OK. You can still apply. Just understand that it’s going to be a little more challenging to get your paperwork done. I covered scholarship estimates for all of the “Top Global University” grant universities as well as the universities that accept the most international students in the Introduction to the University MEXT Scholarship article, so please refer to that chart for an estimate of scholarship slot availability. Slot allocation calculation methods do change from year to year, so be aware that some fluctuation is possible. The final factor that may affect your choice of university is PGP programs. I’ve referred to these programs a few times in previous articles, but have not gone into detail. To be honest, it’s difficult to find specific details as not a lot is publicized about these programs. In general, a PGP program is a very specific program at a university that has been approved by MEXT to receive a certain allocation of scholarship slots for a period of three years. Eligibility criteria may be very narrow. For example, I knew of past programs that were only open to Thai or Indonesian nationals in one particular graduate school. Another program was only open to Master’s level students in computer science who would be studying in Japanese, but had 10 scholarship slots. As you can see from these examples, if you are eligible for one of these programs, then your chances of getting the scholarship goes way up. One year, that Japanese-language computer science program only had 10 eligible applicants. Everyone got in! Unfortunately, universities can’t or won’t (I’m not sure which) publish the details of these programs. So you won’t know in advance how many slots are available or whether there’s a nationality or language restriction. The best level of detail I’ve been able to find so far is the name of the graduate school that is hosting the program, but even that list isn’t complete! As I mentioned, programs are approved for three years. But universities are applying for approval for new programs at the same time as you are applying for your scholarship! So a program that didn’t exist when you started your application might come into existence later on. This is one more reason to try to network with professors at your university in advance- you may be able to get some inside information on ongoing applications. Don’t get your hopes up too high for the PGP programs. In most cases, it’s going to be blind luck. But if you really want to know, I will be translating the list of current programs in a subsequent article, so sign up for the updates below. By now, you should have a short list of schools that you want to apply to. These schools offer your degree program at the right level (Masters or PhD) in English, may (or may not) have a partnership relationship with your current/most recent university, and have a decent number of scholarship slots to compete for. If you’re feeling lucky, they may have a PGP program in your field. Good, now it’s time to tackle those universities’ websites. Many Japanese universities will have web pages showing their professors’ individual research specialties or, in the case of science and engineering fields, their laboratories’ ongoing research topics. Read through these pages and look for professors whose research interests are closely aligned with yours. You may also be able to find past students’ Master’s thesis or PhD dissertation topics on the university website, so you can review those for similar themes or topics to your interest. Google your field of study and the name of your target university together to see if you can find any publications on that topic. Ask your current (or most recent) academic advisor if they know about the state of your research field in Japan. Once you have combed through all of that information, you want to select the one professor who is best suited to supervise your research. Study that professor. Know where he or she got her degrees, know his or her publications and conference participation. Read any publications you can get your hands on. For now on, that professor is your target. If you attempt the networking strategies that I will cover in the next article, your goal is to get closer to that professor. When you write your Field of Study and Study Plan – which is the most important part of your application – you will do so to get that professor’s attention and interest. Here’s the thing: The majority of MEXT scholarship applicants apply blindly, writing their research proposals (well or poorly) and sending their applications with the hope that someone will find it interesting. You are going to have an advantage over all of those applicants. It’s a lot easier to hit your target when you know what you’re aiming for. If I have applied as MEXT University recommendation, then can I apply in another university through Embassy recommendation? You should know the results of your University Recommended MEXT Scholarship Application (or at least know whether or not the university has decided to recommend you to MEXT for the scholarship) before the next round of the Embassy Recommended MEXT Scholarship starts, so there would be no overlap. If the university tells you that they have recommended you to MEXT for the scholarship, there would be no need to apply for the Embassy Recommended MEXT Scholarship. On the other hand, if they do not recommend you to MEXT, then there would be no conflict for you to apply for the Embassy. Do i choose only public universities for embassy mext scholarships? You can apply to any university in Japan- national, public, or private. Just keep in mind that if you are applying by Embassy recommendation, you have a higher chance of being placed in a national university than any other kind, if you have one on your list. I recently wrote an updated article about how to find universities and professors in Japan that should help you find an appropriate program! I am applying for research program through embassy. When I enter university of preference can I choose multiple university? Yes, for the Embassy Recommended MEXT Scholarship Application, you should list up to three universities in the Placement Preference Form. i want to apply for master’s degree in Construction Management. how can I chose a professor ? AND WHICH UNIVERSITY SHOULD I CHOSE? I recently wrote an updated article about how to search for universities and professors in your field that I hope you will find useful in answering your question. Keep in mind the names of the field might not be exactly identical. You may have to search in a broader field then narrow it down by looking at professors’ specific research to find what terminology is common here. I want to apply for MEXT scholarship program 2018 in Kyushu University. For studying Masters in “Japanese art and architectural , Buddhist visual cultures of Asia” . So, how can I start the application procedure ? I recommend that you read my article on the MEXT Scholarship Basics, which explains the different ways to apply and how (and when) to get started with each! Hello! How are you doing? I hope you are doing well. I have been following your blog since 2016. I have some questions regarding with the MEXT University-recommendation. Last year, I have tried to apply for the scholarship in one of the University in southern Japan. Unfortunately, I found out that the required age for an applicant is 22 before 2 April 2017. My age that time was 21 and about to turn 22 on the 3rd of April 2017. Also, i have a lacking educational years of approx 2 years. Such problems was not overseen on both parties. Moving forward, I will be applying again for the MEXT 2018 University-recommendation in the same university but different grad school now. In line with this, I would like to ask if it is okay to submit the same documents; recommendation from my home university which is dated in 2016 for this year’s application. The same set of documents are needed for the application but i am wondering if the date of the documents really matters for the evaluation of the application. Since i will be submitting some documents dated in 2016 for the 2018 application. Also, i am wondering if it is an advantage to have a published paper (in Science) during the evaluation. Please let me know what you think. There is no specific requirement for the Letter of Recommendation to be no less than X months old, etc., but if you can get a new letter, then I would recommend it. The chances are very good that the staff at the university will remember you (I remembered all of my repeat applicants), so you might get a little extra scrutiny and they may ask about it. For documents like your transcript, if you have any new grades since your last application, then you would have to submit a more recent version. Otherwise, as long as it’s original, it’s OK.
By the way, MEXT made the age and academic background requirements less specific this year and left them up to universities’ discretion. I wrote about that, and several other changes to the University-recommended MEXT scholarship application in my post about the 2018 University-recommended MEXT scholarship application. Having a published paper will help you, of course, but it’s just one of many factors. The most important thing is your grades and your Field of Study. Thank you for your reply. I really appreciate it. Thank you for your comments. I have read your blog regarding with the MEXT 2018 application, and i found out that I need to really have a new one coming from my University President because my previous recommendation came from the VP for Instruction, which was my former Professor. Moreover, I have some questions regarding with the 16 years of education. In my country, we have a total of 14 years (Elementary to University) since we don’t have senior high school, which is really sad but now it has been changed. Unfortunately, i have that education system. So, i enrolled in a state university in my country for my masters to add up 2 years to make it 16 years. Also, one academic year is composed of two semesters. During my studies in my masters, I was able to finish first semester (S.Y. 2016-2017) of my first year in master and I wasn’t able to continue for the next semester due to some financial reason. Then, I continue to study my masters for the first semester (S.Y. 2017-2018). My questions is, does this count for two years of additional years of education? 1 semester per school year. I hope i don’t confused you with this. Let me know what you think. Even when “16 years” was the requirement, it was possible to make an exception for countries where the system was different. If I remember correctly, the Philippines education system is similar to what you described – it was formerly 14 years to earn a bachelors but has recently changed. When I handled these scholarships, we would accept students from the Philippines who had only 14 years of education but had earned their bachelor’s degree, as long as they met the age requirements. If you complete the Master’s degree complete, you should be eligible to apply for a PhD program, if you want. In the mean time, 2 semesters would not count as two years, but the important thing is showing that you have completed the requisite degrees – that is more critical than the number of years. Would you still recommend me to submit my grades earned in my masters? or should i stick with the grades for the last two years from my bachelor of science degree? I think you mentioned in a previous comment that you did not meet the age requirements last time. 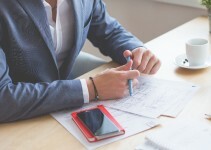 The rule used to be that if you did not have a full 16-year education program, then you could be given an exception only if you met the minimum age requirement. So, you had to meet one requirement or the other. Universities had no flexibility to accept you if you didn’t meet both, even if you were close. Now that you meet the minimum age requirement to qualify for the exception, I think you should have no problem! In either case, I would recommend that you submit your grades from the Masters’, as it shows that you are continually working toward your education and goals. However, be sure to state whether you will finish that degree before coming to Japan or suspend it to study in Japan if selected for the scholarship. Hello! This is Rick again. Just want to update you regarding with my status. The student office of my desired Graduate School evaluated my transcript and informed me that I don’t necessarily need to have the 16-years since it is already equivalent to my bachelors degree plus my GPA met the requirements for the MEXT standard. This lifted the heavy feeling i have. I will be sending my hard copies of application to Japan soon. Thank you and more powers! Thank you for sharing your update! MEXT finally changed that requirement with this year’s University-recommended application process and left it up to each university’s discretion to determine if your academic background was sufficient. I’m glad that the changed worked out to help you! Hello! So i am currently finishing all my requirements. But i have a question, my Professor wants me to stay as a research student for 2 years as written in my research plan. Would that be okay for the application? Or should i tell my Professor the limited time given as a research student? Please let me know what you think. For the university-recommended scholarship, since you arrive in the fall, you can only stay as a research student for up to 18 months. I assume you’d be applying to enter the degree program either at the end of those 18 months or earlier, though. Personally, I would suggest waiting until you’re actually nominated by the university before you get into the technical discussions, but once you are, then yes, it would be a good idea to clarify your plans so the professor knows what to expect. First of all, thank you so much for your useful information. I have a question about MEXT Scholarship. When will you get informed that you are accepted before you go to the university? I’m sorry it has taken me so long to get back to you. If you were waiting on a reply for the 2017 cycle, I assume you’ve gotten it by now. It all depends on what kind of scholarship you’re applying for. If you are applying for the University-recommended scholarship, most applicants get their final confirmation around the end of May (this changes year-to-year, but the university will let you know when to expect it when they tell you if you receive their nomination). If you fall under the “PGP” scholarship category, then you get your final confirmation around the end of August. Hi. I have a question about scholarships for medical university in Japan. Which requirements I must send to be able for scholarship. I want to be a bio-engineer, thats why which faculty I must choose for it. And I dont know japanese language. The requirements for the MEXT scholarship are the same, regardless of your field of study. You’d also have to meet the requirements for your specific university, so be sure to check their website, as well. Studying medicine and bio-engineering are two entirely different things, at least in Japan. Medicine is a practical degree leading to an MD. Bio-engineering is an academic degree leading to an MS or PhD. You’d have a much better chance of getting into a bio-engineering course, since you don’t have Japanese language ability. 1) Kindly advise about the MEXT recommended university list either all Japanese universities are applicable or not. I want to do PhD in Business Administration under MEXT scholarship program. Is it possible that this program is included? 2) I can select the university but I don’t have professor recommended letters about my research for doctorate. Can MEXT consider my application without Professor recommendation? I’ve put together an FAQ about the Field of Study and Research Program that I hope will answer your question about your field of study. I will write again as soon as I am able to answer your other questions. 1- my first question is you told about the research plan which is similar to your adviser research interest but i have to submit my research plan before screening test and i shall choose three universities and three adviser on my research field priority which is mentioned in placement preference form so how is it possible that my single research plan meet the three adviser interest having different research field.so it mean that we have to submit single research plan or three different research plan on priority basis. Thanks a lot for this useful information. Right now, I am preparing all the paperwork for applying for the MEXT 2018. But to be honest, I am a little lost. I got my Graphic Design degree last month and I want to research about Food Packaging Design, I tried to search for a University but I couldn´t find a design graduate school that has packaging design/production. In that case, should I write my Field of Study form independently of not finding any posible tutor/school? 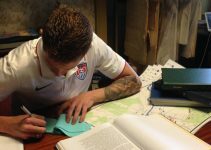 The paperwork will first be controled by the embassy of my country so… would it really matter? Another thing… My letter of recommendation was writen by my academic provost, will that be enough? I’ve put together an FAQ about the Field of Study and Research Program that I hope will answer your question about the Field of Study. I will let you know as soon as I am able to answer your other question, as well. 1. Would MEXT give me the scholarship even when an Admission Letter from the University I applied to is not yet ready? 2. Can I write more than one research proposal and submit in the MEXT research template? 3. If MEXT deemed me qualified, would they request a university to admit me even if I did not apply to the school. I’ve put together an FAQ about the Field of Study and Research Program that I hope will answer your question about that form. I will let you know as soon as I am able to answer the others, as well. 1) I understand that during application we are expected to list a total of 3 universities of our choice. I would like to check with you, as different universities uses very different names for their courses, and might not offer identical curriculum, how similar should the 3 choices be in terms of field? 2) I did some research online, but failed to find other art universities in Japan that offers English courses in the field or media/design. Hence, I would like to check with you, is it inappropriate of me to list in my 3 choices, a mixture of English & Japanese taught programs? 3) In the occasion where I am unable to find anymore universities, is it compulsory for me to list 3 choices of universities or can I just list down 1 or 2 out of the 3? Thank you for taking your time to read this & I look forward to hearing from you soon. 1) The important thing is not the name of the course, it’s whether or not you can pursue your research plan there. If the course name varies but there is a professor with the same research interest, that should be sufficient. You may have to explain that in the interview, but it should not be a problem. 2) It is only appropriate to list Japanese-language programs if you meet their Japanese language eligibility criteria. But if you are fluent in Japanese and English, then it is not a problem to mix the two when talking to the Embassy. (Again, be sure to explain this). Where you might run into a challenge is that a Japanese-based program may not accept your field of study and research program plan if it is written in English, so you’ll have to be prepared to translate it, if necessary. 3) You do not have to list 3, but you had better have a solid reason why if you are listing only one or two. (No other English-taught programs in my field would be a good reason). I knew about that site from past research, but unfortunately, that list is badly out of date and none of those programs are valid anymore. Each PGP program had an implementation duration of only three years, and that list is at least six years old at this point. As far as I can tell, MEXT has not published an update in either English or Japanese, but if you come across anything, please let me know! Thank you so much dear Travis for sharing this wonderful information . I have a question concerning the recommendation letter ,I want to know if it is ok to only get my recommendation from my recent employer if it is not easy for me to get one from my past university. There is no written exception to the Letter of Recommendation requirement, so I cannot give you an answer that will be good in all cases. In some cases, you might be able to get an exception to the Letter of Recommendation requirements, but it would be on a case-by-case basis, so I recommend that you contact the embassy where you plan to apply for their instructions. Simply saying that “it is hard” is typically not going to be a good enough reason, even if your university is in another country. You might be able to get an exception if, for example, your advisor, department head, etc., have all left the university in the mean time and you do not have contact information for them. Please do follow up with the Embassy, though. Thanks a lot for your detailed guidelines. I would like to apply NIMS as a research student. From their website I got to know that it is a public institute. Is it safe to apply to this institute as my first preference? If you have any information, can you please throw some light upon this? That’s a research lab, not a university, so I don’t think you can apply there. You have to apply to a college, graduate school, or research center affiliated with a university. i want to apply for this scholarship but i dont know how to do admission online. Right now, the university recommended application is not open. The Embassy-recommended application process is open in many countries, though. So, I recommend contacting the Japanese embassy in your country and reading my article on how to get started with your Embassy-recommended MEXT scholarship application. Thanks for all these helpful articles. I was blind to MEXT but now I see! 1. Even if I head for English-teaching national universities, N1 or N2 is a requirement or not? 2. Although I have MA degree, I have to go for MA in Japan (not Doctorate), because for Doctorate degree there is just ONE professor working on a field related to mine; And I think the chances are really slim in this case. 3. Is a topic comparing a specific issue in the legal system of my home country and UK’s or my home country and UK’s and US’s ( and not Japan’s) an acceptable topic? 1. You only need to meet the language requirements for the program. So, if you find a law program taught in English, then you wouldn’t need N2 or even N5. A little Japanese ability would help to prove your interest and show the university that you can survive daily life, but it’s not a requirement. 2. If the professor in your field accepts doctoral candidates in Law, why not try to contact him in advance and build up a relationship? If you start talking about your mutual field, you could get a feel for whether or not he would be willing to become your advisor later. 3. It’s not necessarily “unacceptable” but it may not be likely to get the interest of the review committee. I would highly that you try to find some way to connect your studies to Japan. For example, if it is an issue that affects Japanese exports or international negotiations between Japan and those countries and you want to cite a Japanese example in your research, that would be better. Otherwise, you’ll have to think of a good way to explain to the universities why you want to study in Japan (and not the US or UK). Thank you so much dear Travis. Actually I’m interested in comparing my home country’s contract law and Japanese contract law. The only problem in choosing a topic related to Japanese law is me having no access to books or papers in English. I couldn’t find any English law book related to this field (Third Party Contracts in Japanese Law). Considering this, can I choose such a topic and be hopeful to find some books in English when I am in Japan? Can I tell them that I have the plan to find my Japanese-related resources in Japan? I don’t know much about that field, unfortunately, so I can’t tell you what sort of resources exist here. But in general, I think you’re unlikely to find English-language resources in Japan that do not exist overseas. You could have access here to interviewing bilingual lawyers who work in that field, though, so you could get some primary source material, and they may have some references for you, as well. It’s perfectly reasonable to say that you plan to find resources in Japan (that’s part of the point of studying here), but you should prepared for them to ask how you would deal with Japanese-language resources, as well. Thank you so much for taking the time to write all this! I’m applying for a PGP program at Waseda university. It seems to be a very competitive program and unfortunately I didn’t get the scholarship. I don’t even know if I will get in. Since I agree to be considered for general admission as a privately-financed student, I’ll have to continue to wait until the end of May for the result of the first screening (to know whether they will interview me or not). This whole waiting thing is literally killing me. I don’t even know whether they consider me a capable candidate for general admission or not. I think GSAPS of Waseda have a very good guidance for international students about applying to their PGP program. They don’t ask for LORs from the dean, though. Have you had the chance to have a look at their guidance? I think it can be a good material for writing about PGP program. I think the thing that hurt my application the most was my undergradute GPA. Even though my master’s GPA makes a 3.0/3.0 GPA for MEXT, my undergraduate GPA was not very good. I also heard that this is a very competitive program. But it could also be other reasons. I’m asking for constructive criticisms from the admission office. Anyways, thank you so much for my guidance. Even though I didn’t get the scholarship, your guidance helped me a lot! I’m sorry to hear that you didn’t get the scholarship, but I want to thank you for sharing your insight and feedback. Waseda is very one of the most competitive schools, so it doesn’t surprise me too much to hear that their PGP program is competitive, as well. I looked over their application guidelines and I agree, that is probably the most thorough explanation I have seen offered by a university. They even went so far as to list the GPA table. I’m a bit surprised that they don’t ask for a Letter of Recommendation from the Dean, though, since MEXT requires it. Perhaps they only ask students who have been accepted/nominated for the scholarship to submit that afterward. Looking through their guidance briefly for the MEXT application, they seem to be very particular about their research fields, as well. Even if your GPA from the last two years was perfect, with a school like Waseda, there’s always a chance that there were several other applicants with a perfect score as well. If their research plans were more closely aligned to what Waseda was looking for, that could be part of the reason, as well. Unfortunately, it’s a zero-sum game. They can only take a certain number (5 PhD candidates in this case), so it’s not just about the quality of your application, but the quality of everyone else that applied at the same time. The good news is that the general admissions screening shouldn’t be subject to as many minute considerations. I hope you hear good news when those results come out! I’ve followed your website since one month ago when I got the opportunity to participate in MEXT Scholarship at Akita University. Thank you, it’s helping me so much. So, I have the information about 1 slot scholarship from the professor at Akita University. Then, He gave me 2 weeks to complete all of the requirement but the problem is I don’t have the TOEFL score from ETS certification. I’ve asked the professor and official in charge and they said it was no problem about that. Then after I submitted the requirements and conducted an interview with three professors, yesterday I got the information that I passed from the university screening and now my application was being processed by the official. MEXT does not require the university to submit your TOEFL score. It only requires that the university certify that it believes you have sufficient English language proficiency to complete the program. In my experience, we never asked for the official TOEFL certificate directly from ETS. We were usually fine with a copy or a printout of the scores from ETS’ website. If the university is telling you that they have enough material to understand your English ability and recommend you to MEXT, you won’t have a problem. I hope you enjoy your studies in Akita! It’s one of my favorite places in Japan. Thank you for taking time to dedicate your efforts to such a lovely site, it really does give me so much more useful information than any other site out there! I really appreciate your efforts! Right now I feel like I am in a rut and honestly grad school applications are extremely exhausting. Your site has been my only source of support so far 🙂 Despite my religiously reading your work, I do have a few questions and I hope you can answer them if possible! 1. From what I know, my senpais from my home country (Singapore) told me that in order to pursue a Masters/PhD in Japan, we can only enter via the status of 研究生 if we want to receive MEXT. Is this true? 2. Is it true that we cannot receive MEXT at a PhD level if we already received it for a Masters program? If that is not the case, do we apply twice as 研究生? 3. My research interest lies in Japanese law and human rights, and if possible, I would like to study at Kyoto University with a professor I really admire. The problem is that Kyoto University does not have an English-based degree, so does this mean I have to be absolutely fluent in Japanese before I can apply? (My current level is a little below N1, and I have 1.5 years before graduating from undergrad). 4. What is the difference between a master’s and a PhD program exactly? My understanding is that for the humanities, a master’s is more class-based and PhD is more research based. In the case of a master degree, what are the dynamics between a student and the advisor? Thank you for looking through these! I am now in Tokyo but I feel like there is no official organization to turn to in terms of looking for a program and scholarship that suits me the best. My university does not provide any counseling at all, and as a foreign student in Japan, I don’t know where to reach for help. I’m glad to hear that you’ve found the site useful so far, and I’m also glad to hear that you’re preparing early. That should give you a leg up when the application time comes. 1. No, that is not true, in general. You can enter directly into a degree-seeking program. I saw more applicants go directly into degree-seeking programs than arrive as “research students” (研究生). Ultimately, it’s going to depend on your particular graduate school. Some schools might only be willing to accept you as a research student first. Others might only start their degrees in a particular semester, forcing you to spend 1 semester as a research student while you wait to start. 2. 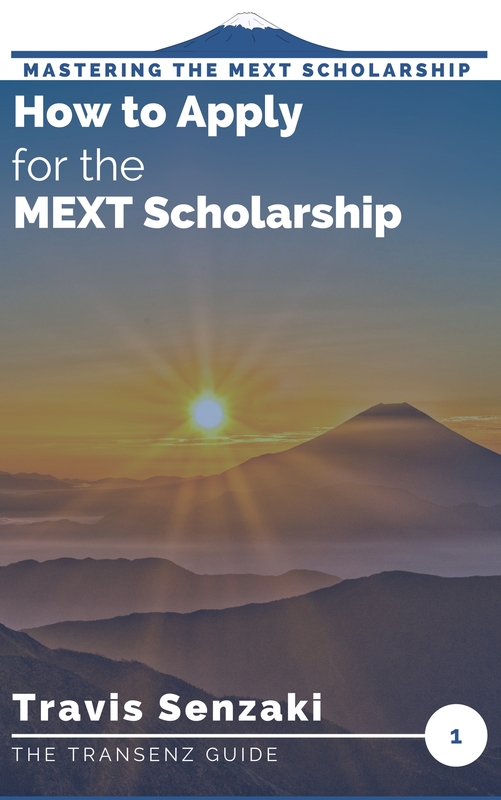 If you have received the MEXT scholarship once, they you would not be eligible to apply again until you have completed three further years of research or education on your own. In some cases, it is possible to continue your scholarship directly from Master’s to PhD, but you would not be able to apply from scratch again. The same rule applies to a PhD scholarship or a Research Student status. 3. Each graduate school sets their rules for language ability requirements, but yes, I would imagine a law school would require N1. By the way, there are two kinds of law schools in Japan; Graduate Schools of Law, which ultimately award a PhD in Laws, and Professional Schools of Law, which ultimately award a JD. Make sure you’re applying to the right one! 4. I assume you are familiar with the difference in the degrees :). Whether the degree is more course intensive or research intensive depends on the school, there is not single rule that applies universally. Generally, in a Master’s degree, you will be doing coursework throughout, which may or may not be the same at the PhD level. Supervisor interaction depends on the particular graduate school. At the university where I worked, some humanities graduate schools didn’t assign advisors until the second year of the Masters. Others assigned them right away. You’re pretty much on your own to research everything. There is no organization or organized help for anyone applying for MEXT, so everyone else is in the same situation, too. If you’re in Tokyo studying and you can make connections with faculty members there who might be willing to help you in the future, that would be one of the best advantages you could find. I posted a comment some days back,but it did not get through for some reason, don’t know why. So posting here hoping it gets through this time. 1.My cgpa is below 3,so in that case am I ineligible for the Mext scholarship? 2.As per some suggestions from a friend in japan, I still intend to contact professors from different schools, and ask if they have funds for someone who’s interested to work under them/ or under the specific subject they are researching. 3.I don’t have any publication, I am from architecture background.As I am targeting a m.s/phd program do you think my background/ or non impressive profile would make it hard for me to get a response? I do know the answer ,but I am still willing to take the chance, but the lack of motivation is there,as I feel my chances are low. 4. So far there is only one professor that I’ve chosen,and his research interests are quite similar to mine too, and one of his subject matter is on schools which I took as my final thesis project.But this is only one way around, as he always has the power to discount me or my profile. Given my situation here,I do know where I stand,but as an expert on this field,I wish you give me a direction and honest suggestion here.Thanks a lot for the blog.It has been very informative. Sometimes it takes me a few days to get to comments and reply, but unfortunately, I don’t see any record of your previous comment anywhere here. 1. You have to convert your GPA from your country’s scale to the 3.0 scale used for MEXT, otherwise there’s no way of knowing. See the conversion chart in the MEXT eligibility article. 2. I’ve never heard of that step, so I don’t know what your friend is talking about. It was not part of our MEXT application process at my university. If you’re applying for the University-recommended MEXT scholarship, you can only apply to one university. The professor wouldn’t have to provide any funds that I’m aware of. 3. Many applicants come straight out of their undergraduate degrees with no publications or professional experience. I don’t think that’s going to hurt you. You just need to have a killer research proposal. 4. For the university-recommended MEXT scholarship, every applicant chooses just one professor, so your situation is not unique. Your application is going to have to get screened against all the other applicants to that university, so there’s no telling what the competition will be. All you can do is make your application (research proposal) the best you possibly can. If you have a way to reach out to the professor, you could start trying to network about your research interests (don’t mention the MEXT scholarship until the application period) and see if you can establish a relationship. I can barely express how grateful I feel for this blog of yours; it provides the advice that staff at the Consulate (for whatever reason) seems not willing to give. Thank you again. I have very basic questions. According to the Application form, it is possible to apply for Research student courses, Master’s courses or PhD courses. As far as I understand, the Research course will not give you any degree but, will help you to go deeper into your research and might eventually be extended as a Master course (in Japan or at your Home country). Since the field I’m interested in (Japanese painting or Nihonga) can only be learned in Japan, I’d be interested in the Research course, to learn the basic knowledge – skills needed to answer the Master’s research question I already have. 1.Do you need to be enrolled at a University to apply for the Research student course? 2.When you are done with it, do you need to go all over the same MEXT’s procedure to apply for the Master’s? 3. (I might be wrong but…) Seems to be very few questions about the Research student course, is someone actually applying for it? 1. No. For most MEXT scholars, the Research Student program is something they do as a lead in to applying for the Master’s course. 2. No. You will apply for the university’s “entrance exam”, which is usually just a paperwork formality, and you will also fill out a relatively simple application to apply to extend your scholarship to continue to the Master’s program. 3. I honestly don’t know why anyone would want to apply for the Research Student program. Why not go for a degree? What you do as a Research Student is the same thing you do as a Master’s student, but without a degree at the end. In some cases, you could apply for a degree and get assigned to a Research Student program for one semester, if your degree program doesn’t accept new students that semester, but that’s the only good reason I know of. This is my first message in your website, but let me tell you that I have been reading you for at least one year. All the information you have posted was tremendously useful for me, so I want to thank you so much! Regarding my particular situation, I was awarded with the scholarship by embassy recommendation, and I will travel on October. But I have a question: I have received the scholarship for the third option, which is a Public University: Nagoya University. I am very pleased to pursue my research investigation in this University, because of the prestige of it and also because my tutor has a lot of experience in the field I want to investigate. But in terms of the master course, the other two universities that accepted me, have programs which I think fit more with what I want to study. So my question is: is possible to change university after complete the research plan, in order to take the master course in a different university? If this is possible, what do you recommend to do? I thought in restart my contact with those two universities for example. Thank you for your kind comments and congratulations on earning the scholarship! According to MEXT’s site, you are expected to continue from your research student phase to your master’s degree at the same university. There would have to be extenuating circumstances – like the only professor who could supervise your research retiring. So, there is probably little to no possibility that it could work just based on your interest. If you continue from a Master’s to a PhD, however, there is a better chance to change universities at that point. In the mean time, I hope that MeiDai (Nagoya University) has the resources you need at the Master’s level! In any case, it can’t hurt to stay in touch with the faculty members at the other universities for the future. Thank you so much Travis! Very kind of you to take the time to answer. And what about the JLPT level? The university knew, when they accepted me that I have a basic level of Japanese. Even though I am studying really hard, I think that will be difficult (if not impossible) to reach a N1/N2 in five months. The Master is in English, is in the Global 30 Program (I have checked it before applying), but they require a Japanese level. Is it possible that the University reject you in this type of situation? The embassy told me that if you are committed to the Project and you really want to study in Japan, they will find a way to help you (changing university or tutor, for instance). However, I am really worried about this because I do not want to lose this opportunity. And I am wondering to ask my tutor about this, but maybe I anticipating the situation and I do not want to bother her. I am kind of thoughtful. Thanks again in advance for all your generous help. I’ve never heard of an English-taught master’s requiring a Japanese ability level before. Can you send me a link? (I won’t make the comment public, if you prefer not to share that link). I’d need to know how the requirement is phrased in order to be able to comment for sure. I have heard of some people gambling by only putting one university on the last. However, you should be sure that you can get an LoA from that school. MEXT will only consider placing you in a university that is on the list, so if you put only 1-2 universities and neither ends up accepting you, you would likely lose the scholarship. I also heard a rumor that Keio will only consider applicants who put Keio and Keio only on the Placement Preference Form, but I have not had that confirmed. I think some people have had success with that strategy, but personally, I would not risk it. Hi, I have asked to the universities as you mentioned like Type A, about the minimum score for TOEFL, but they always respond that there is no a minimum score, is that true? and, Can you lose the chance to get a scholarship for having a score lower than the other applicants? That is true- in general, TOEFL scores are not evaluated competitively. Most of the competition is going to be based on your GPA and your Field of Study. The university just has to be sure you have sufficient proficiency to complete your degree. If your TOEFL score is particularly low, that might be a problem, but if you’re applying with a score around 80, you’re not necessarily going to have a lower chance than someone with a 100. 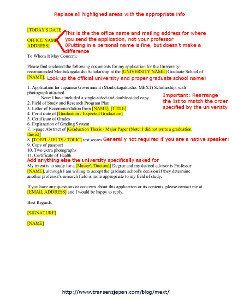 You might want to check what the application requirements are for self-financed applicants to the same graduate school. As long as you meet that minimum, you’re not going to have any problem. Hi Travis, thank you so much for replying. I have another question, in fact, a lot, but one in particular. I wonder something about ”proof of academically outstanding” because although I’m meet the requirements such a GPA I’m sure that I´m not in the top 5 – 10% in the department, I mean some of my classmates have higher grades than I, so I assume that I just don’t fulfill the conditions of the scholarship 🙁 ( I’m very worried about it) so: Is it just a condition of this university in particular? I should try in another one? And finally, besides of that university I am very interested in another University, this one offers a PGP in my field, but I don’t see the condition of ”top 5 – 10%” in the application, is that possible? Do I focus only on the second university? Am I out of that too? Or I still have a chance? *I want to apply to the first one based on the university’s recommendation. I’m sure you’re aware already- but remember that you’re not allowed to apply to more than one university. “University Recommendation” and “PGP” are the same thing, so you can’t apply for both at different universities. I’ve never seen “top 5-10%” as a condition for the scholarship, so if you’re seeing that on a university’s website, then it’s likely that university’s rule or a general guideline. If you can post the link in here, I’ll take a look at it. In general, you’re going to have a better shot at getting the scholarship if there’s a PGP in your field (and you’re eligible for that PGP) because the PGP means that there are more scholarships available for that particular field. If you’re concerned about the top 5-10% condition or your grades in general, going for the PGP is probably a safer bet. Please post that link here (if you can), either way. I’d like to take a look at it! Thanks for sharing the link. The top 5-10% looks like it’s an example of how to prove that your academic performance is outstanding. The way I read that, you don’t necessarily have to that specific proof. Where I worked, we usually asked for the “Explanation of Grading System” that I explained in another article (http://www.transenzjapan.com/blog/mext-scholarship-application-letter-of-recommendation-required-documents/), and used the student’s grades as proof of academic merit. We would only rely on order of merit references if there was no way to interpret the applicant’s grades. YNU might be different though, so you might want to contact them directly and ask if an explanation of the grading system will be sufficient for the application or if they need another document to meet that requirement. Thank you very much for sharing this information! I was desperate for some information related to the university recommendations MEXT as I was rejected by the embassy (because I have a 15 years education background). Your posts are really helping a lot and solving a lot of my queries! I have a few questions , i’m sure you must be receiving such kind of questions all the time so I am sorry for asking them again. 1. Does the 15 year education background reduce my chance of getting a scholarship? I have checked with the university I am applying to , and they said I am eligible to apply. But since I got rejected by the embassy for the same , I was wondering if there will be a problem or not. 2. You have mentioned in this post that we need a letter of recommendation from the President of the university. But its physically impossible to meet the President of my university. If I tried, I would probably get laughed at. So will a recommendation from the principal of my college suffice/or have the same impact? 3. How important are the GRE scores? Some universities demand GRE scores. So how important are these scores? Eg: if I have good GRE score and average grades in my bachelor’s , will I seen as a potential candidate? 4. How important is a supervisor? What role does he play? 5. Do the JLPT scores play any role in an application if the applicant is applying for, say, engineering course? Does it give the applicant an edge over the other applicants or it doesn’t effect the application in anyway? Sorry for the long post. I am trying not to mess up my application this time, and I really dont want to trouble the university employees anymore, so I was looking for another source of information and I found your blog! You’re getting ahead of me on a few of these questions – I plan cover them in later articles, but I’ll try to give a short answer at least for now. 1) A 15-year education program is not disqualifying, as long as you are over 22 years old as of April 2, 2016. (i.e. you were born on/before April 2, 1994). It should not affect your application in any way, but you may have to contact the university in advance to have a “pre-screening.” If you were born after April 2, 1994, you are not eligible this year. 2) I plan to cover this in detail later, but the short answer is that you do not need to meet or talk to the President. You talk to your advisor, your advisor writes the letter and then tries to get the President to sign it. You need a letter from at least a Dean. Anything less (including vice-dean) will not be accepted. 3) When I processed applications, we never asked for GRE scores and didn’t consider them, but other universities’ requirements will differ. I would say they are not as important as your grades and certainly not as important as your Research Plan. If your bachelor’s grades do not meet the minimum eligibility level, then you’re not eligible to apply, regardless of GRE score. If your grades meet the minimum level but are low (e.g. below 2.7/3.0 on the MEXT scale), then an amazing research plan is the most important tool to save your application. 4) Your advisor is everything! This is true of most any research-based graduate program- you need an advisor with similar research interests who can provide helpful guidance and oversight. But for MEXT, it’s even more important, because you need to appeal to your advisor through your Research Plan (and/or networking) and get that person to be your champion for the scholarship. 5) For an English-taught degree program, JLPT scores might make a difference if everything else is equal, but that is rarely the case. It’s nice to have but at the end of the day, most likely irrelevant for the application. For the application process, your Field of Study and Research Program Plan is the most important thing that you have control over at this point- and I’m going to be publishing that article next (hopefully within the next few days, if my schedule allows). Thanks, that helps a lot! 🙂 waiting for your other posts!! 1) When a university postulates students to MEXT under a PGP program, the placement is guaranted by MEXT? In other words, Is it possible a rejection by MEXT even if a student was postulated by a University? 2) The printed documents that a student sends to the University are also send to MEXT? Or the University simply makes a list of candidates and sends to MEXT by email? I would like to know if the people from MEXT also evaluate the “Research Plan” or it is only judged at the University by specialists in the field. It is important to know if the “Research Plan” will be evaluated by MEXT’s employees. In that way, one could a write a research proposal understandable by people without a background in one’s specialty. 1) When a university recommends a student for the MEXT scholarship under PGP, then the student is considered “provisionally accepted” for the scholarship. MEXT is just going to double check to make sure the student meets all of the eligibility criteria. 2) When the university recommends a student to MEXT, they send the student’s: application form, Field of Study and Research Program Plan, and Letter of Recommendation as well as some documents that the university creates. MEXT staff are going to look at your “Research Plan,” but they should not be looking at the specialized area of study part. Their interest should be more in the impact of your research and your reason why you have to do the research in Japan. I’m going to cover research plans in the next article (I’m skipping networking for now because of time), so I’ll get in to that in more detail soon!